Prida, Guida & Perez, P.A., Welcomes two new Team Members | Prida Guida & Perez, P.A. Sarah Quarles, CPA at Prida, Guida & Perez, P.A. Sarah Quarles is a welcome addition to the firm, bringing 15 years of experience in both public accounting and private international industry accounting. Quarles was most recently a tax director with a multinational, publicly held manufacturing company and has an in-depth knowledge on corporate and multi-state taxation, as well as financial statement income tax accounting. 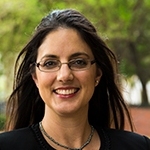 Quarles holds a Masters in Accounting with a focus on Taxation from the University of Florida and was also the former Treasurer of the Tampa Chapter of Association of Latino Professionals in Finance and Accounting (ALPFA). Solayma Gonzalez Sacre joined the firm in February 2018 and has recently passed all four sections of the C.P.A. exam and is looking forward to having her license in place by the end of the year. 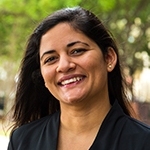 Sacre, a Cuban born native, graduated from USF in 2012 with a dual major in Accounting and Finance and recently completed her Masters Degree in Accounting with a focus on Taxation. While attaining her degrees she most recently worked as a purchasing agent for a local business. About Prida, Guida & Perez, P.A.